Cherish new memories you will make this year with family and friends, gathered around The Thanksgiving Gratitude Centerpiece. 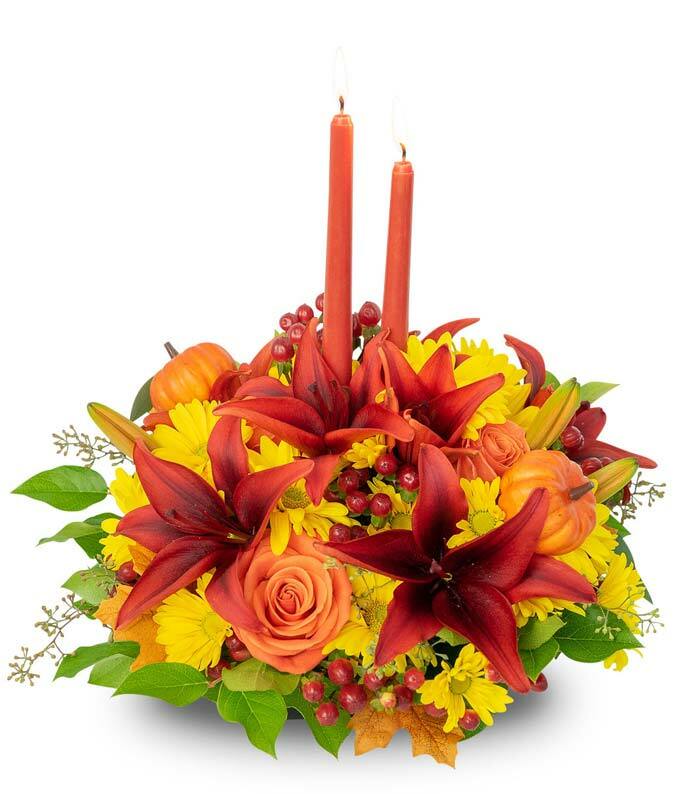 This thoughtful designer-inspired seasonal dish container complemented by orange taper candles is the stage for gorgeous orange roses, red lilies, yellow daisy poms, red hypericum, eucalyptus and mini pumpkins! Small measures 14"H X 8"L.